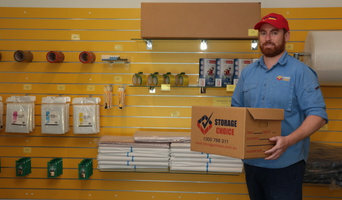 Storage Choice offers a range of storage sizes in secure first class conditions and our friendly team of professionals will help work out the right storage space for you, at the best possible price. At Storage Choice you can store it all from boats, to precious wines and we provide free use of a courtesy truck or trailer when you move-in. We also have a full range of quality packaging supplies and extras to make self storage easy. Visit Storage Choice here on line, or even better, drop by and inspect our state of the art self storage facilities. Contact us now to arrange an inspection. We offer a wide range of solutions in areas such as Under slab drainage, Footings, Post hole digging, Pool digs, Land development, Irrigation, Landscaping, Driveways and Foot paths among others. We offer an experienced and professional service in Brisbane and surrounding areas. Suncity Earthmoving also offers dry hire on some machinery. Fully insured and Compliant. Family owned and operated. Please contact us for further information or a FREE Quote! CVL Interstate Removalists are working in Newcastle for 40 years. We are a family owned and operated moving and storage company servicing Newcastle and interstate destinations. Whether you are moving to Newcastle or moving away from Newcastle to Sydney, Melbourne, Brisbane, Canberra, Adelaide, the Sunshine Coast or anywhere in between you can trust that we will take great care of your possessions and provide an excellent removalist service. Caloundra Van Lines takes great pride in our ability to get the job done properly, professionally and politely in all situations. Our in house training is of the highest standard and this is reflected in the polite, professional movers that shake your hand in the morning and then again once your job is completed to your satisfaction. Better Removalists Sunshine Coast is providing consistent moving service in, Sunshine Coast, Queensland. We are into removalist industry from last ten years and have the superb understanding of packing and moving heavy to delicate stuff. Our objective is to offer best removalist service to all our trusted customers. With the help of our expert team, we safely move the household items from one place to another with damage-free assurance. We take care of all the packing and moving things for you. If you are interested in availing our service, then contact us @ 1300 766 422 or for more info, visit our website. CVL Interstate Removalists is the Australia wide arm of a 40 year old family owned business operating out of Queensland’s Sunshine Coast. In the industry and with customers around Australia, some having used CVL for over 25 years again, they have gained the reputation for being the “Movers With Manners”. CVL takes great pride in their ability to get the job done properly, professionally and politely in all situations. CVL Interstate Removalists employs the highest standard of in house training which has not only helped the company stay competitive and in business for the last 40 years but is also reflected in the polite, professional team that shakes your hand in the morning and then again once your job is completed to your satisfaction. We wrap everything in our clean removal pads, ensuring their safe transportation. It does take us longer to load than other companies though it is our assurance that it all makes it safely. Every truck comes complete with a minimum of 200 removal pads, 2 trolleys. 2 dolly’s and a piano trolley. In essence fully equipped and ready to go. CVL’s experienced team is looking forward to helping you with your interstate team move. Find companies in Sunshine Coast, Queensland that provide storage or moving services on Houzz. Scroll through this page to find a home removalist storage solution in your area. Just enter your suburb at the top of this page to narrow your search. Get contact information or message professionals directly so you can ask about rates, and read customer reviews.